Big thanks to Robert Pankowecki who created the original gist and to Piotr Szotkowski who provided even more data. The gist was originally created as part of our Fearless Refactoring: Rails Controllers book where Ruby exceptions are suggested as one of the possible techniques of the controller communication with service objects. which means that for this configuration, the exceptions are 4438 times faster than AR::Base#create. This entry was posted in technology on December 23, 2018 by surgicalcity. This entry was posted in technology on December 22, 2018 by surgicalcity. The result was actually very bad – the setup_which_is_meant_to_stay_here call returned a hash with a lot of information about internals of our system. And it all went to the front page of one of the systems. Which we learnt only a few hours later. This entry was posted in technology on December 21, 2018 by surgicalcity. I sometimes hear people saying – “working remotely is not for me”. I prefer to use other words. At the very minimum, I want to overcommunicate to the rest of the team what I’m working on. It should be super-easy for others in the team to say – Andrzej is working on feature X. This entry was posted in technology on December 20, 2018 by surgicalcity. alias ia="open $1 -a /Applications/iA/ Writer.app/Contents/MacOS/iA/ Writer"
This entry was posted in technology on December 19, 2018 by surgicalcity. A service object in Ruby has some typical elements. There are some minor difference which I noted in the way people implement them. Let’s look at one example. This example may be a bit unusual, as it doesn’t come from a Rails codebase. The service object actually comes from the engine of this very own blog. The blog is nanoc-based and the service object is used to locally generate a new draft of a blogpost. You can read the first part of the story in the blogpost where I talked how this service object was extracted from a previous script. @andrzejkrzywda this may actually convince me to use #ruby…. @psmyrdek @andrzejkrzywda not lines, rather the pure simplicity in code. This awesome. which got me thinking and inspired to write this blogpost (thanks Paweł!). What we see here, is a typical run/execute/call method (I’ve settled with “call”) which orchestrates other parts. The naming is a bit verbose but also quite explicit in describing what it does. There’s something Ruby-specific which makes the code appealing to certain developers. This was probably the part which brought me to Ruby back in 2004 (and I still didn’t find a programming language which would be more esthetically appealing to me than Ruby!). The lack of braces is one thing. Then there’s the dynamic typing, resulting in no type declaration. Less verbose thanks to that. There’s also a design choice here – there’s lack of params being passed. The “call” method doesn’t take anything, nor the other methods. However, in fact, they do use some input data, but those 2 variables are set in the constructor method. This means that we can access them via “@title” and “@date” instance variables. There are additional 7 private methods here, which are using the instance variables. The topic of service objects in Rails apps was so fascinating to me that I wrote a whole book about it. One realisation I’ve had over my time spent on service objects is their connection to functions and to functional programming. Some people call them function objects or commands. My architectural journey led me to discover the beauty of Domain-Driven Development and CQRS (Command Query Responsibility Segregation). At some point, all those pieces started to fit together. I’m now looking at code in a more functional way. What I was doing with my “Rails Refactoring” actions was actually about localizing the places where data gets mutated. In fact, my current Rails/DDD teaching how to build Rails apps feels almost like Functional Programming. So, the question appears – is this service object functional? I’m not aware of all FP techniques, but being explicit with input/output of each function is one of the main rules, as I understand. Which means, that the 8 methods of my service object are not functional at all. (the part of this object which mutates the whole world around – file system, git repo, operating system – is also not helping in calling it functional). But let’s focus on the input arguments part. What if we explicitly add them? Given that this post is about esthethics and it’s always a subject to personal opinion – I’d say it’s worse now. It’s more verbose, it’s even too explicit. But there’s one part which makes this new code better. As a big refactoring fan, I can tell that when each method is explicit about the input it needs, the code is much more friendly towards extracting new classes and methods. What’s your take on the esthetics here? This entry was posted in technology on December 18, 2018 by surgicalcity. Recently, I’ve been preparing to my webinar about introducing DDD to existing projects/teams. One DDD part which is not always easy to explain is actually the main strategic pattern – bounded contexts. For the webinar purpose I came up with the idea of showing that in our programming teams we also have bounded contexts. What’s better, most of us, represent different bounded contexts. In this blogpost I’d like to highlight some of such contexts. The thing I’d like you to focus on is that the different types of developers – they all use different vocabulary when they play different roles. It’s worth noting it just for the purpose of a successful communication but also to learn that it’s the main point of DDD – find the domain language. There’s definitely more such types/contexts. If you can name some – feel free to do it in the comments! Please note, that each of us can play any of the roles at any time. However, sometimes some roles are more natural for each of us. Note the language that we’re using. Even though we can have some fun describing the personas, all the contexts are important at specific times. What contexts do we see here? This is all for our internal needs – to safely/efficiently deliver software. Now look similarly at the actual project you’re working on. What subdomains do you see? and many others. It’s not uncommon to see ~30 potential bounded contexts. Are they clearly represented in your system? Each of them deserve a dedicated module. It’s truly bounded if they don’t talk to each other directly. They either communicate with events or there’s a layer above (app layer) which orchestrates them. Each of them should have a separate storage (conceptually) and never ever look at each other storage directly. When I first encountered DDD – this all was a mystery to me. How to actually achieve this? Now, after seeing this happen in our projects it all seems much simpler. Each context is either a separate module/directory in the repo or it’s a separare microservice/repository. When I work on Accounting features, I’m not bothered by the concepts of other contexts. I’m only surrounded by things like accounts, revenues, profits. This makes me much easier “to get into the zone”. Heck, thanks to the CQRS (I consider this to be part of the bigger DDD family) techniques, I don’t need to bother too much about how it displays on the UI. The “read” code is also separated. Pssssst, if you’re interested in applying DDD in your Rails projects, consider coming for 2 days to Wrocław, Poland and attend our Rails DDD workshops. The next edition is 24-25 November, 2016. This is how the first 2 hours of the workshops look like in the first edition – a heaven for the agilers – post-it notes everywhere 😉 It’s a technique called Event Storming – we visualize a system with events/commands/aggregates – each having a different color of a post-it note. When it comes to my salary, I am an ordinary guy who earns $ X per hour. I’ve been working this way since I joined Arkency, and I never thought much about it. I’ve been happy that if I need vacations or break, I can just take them (properly communicating it with the clients, of course) without much hassle. When I feel great, and I am inspired to work and work and work, I can just log more hours without thinking much about it as well. Just like monthly salary, hourly salary is a safe way to live. But is it the most rewarding way to live? 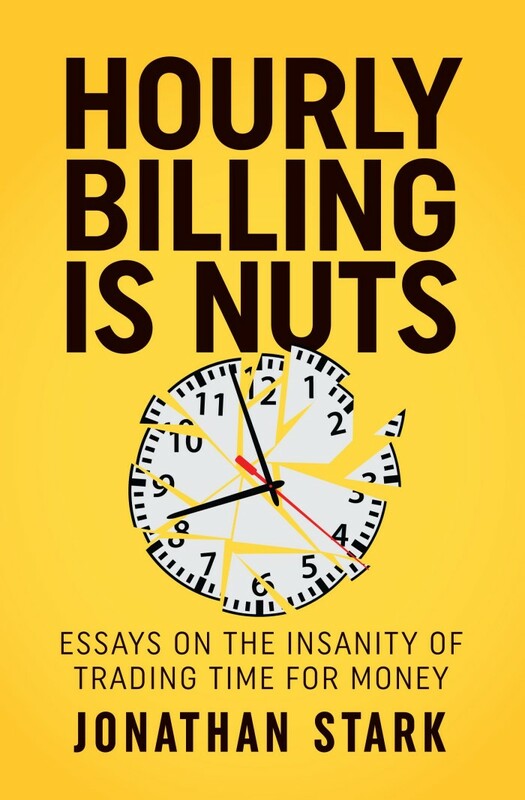 Hourly Billing is Nuts challenged my perception that hourly billing is the best way possible. I started to notice the bad parts as well, not only the good ones. I don’t agree completely with some parts of the book, but it got me thinking. You could be working on features twice as fast, but you are not working on the same features, so it’s not easy to prove it. It gets even worse. If you spent say three years acquiring those skills and your customer spent three years expanding the business into more complex areas then they might perceive you as being on the same level. But that can be misleading because you are now working on twice as hard problems with your skills being twice as good as they used to be. That’s why things can look similar to what they were some time ago. You could be working on features that bring 2x the money that previous features used to. That would be perfect. But the thing is… It does not always depend on developers what features we work on, how they are used by clients, what’s the conversion rate. And often the most beneficial features are implemented at the beginning of a project and adding every new cross/up-sell is harder and less rewarding. So I’ve been thinking how value pricing (pay per feature) changes things here. And I came to the conclusion that the change is mostly about moving this risk (and potential reward related to it). What do I mean by that? 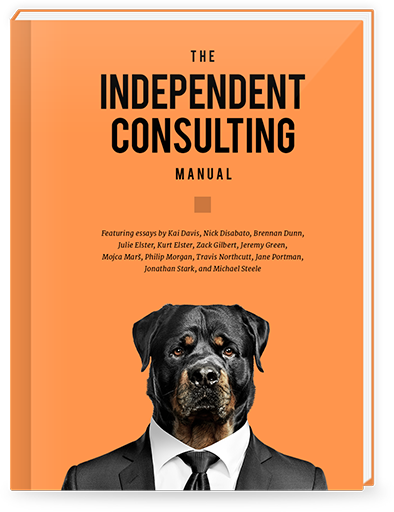 When billing hourly the risk for an agency is minimal, and most of it is on the side of the customer. If the estimations are incorrect (and they always are), and things take longer, it’s the customer who pays more. This can be mitigated some way (for example by “we won’t pay you for more than Z hours” rule) but if it is, you are already beyond hourly billing and taking some part of the risk on your side. On the other hand, when you are doing fixed price project the whole risk is on your side. When things take longer customers don’t care (unless deadlines apply). It’s your time and your cost only. So the risk shifted. What if by being a better developer, using the proper technology you can do the project in half the time it would take other companies? In hourly billing model, the reward is received by the customer. You did things cheaper, and they still have the budget to pay you for other features that you could work on during that freed time. In fixed price environment the reward is yours. You get the same amount of money, and you can work (or not 🙂 ) on a different task/project in the freed time. Of course, you might argue that when you get 2X better, you can charge 2X more per hour. I agree, assuming you know how to convince your (new or existing customers) that you are now two times better. This can be hard. But is it hard in the value pricing model? Not really. You charge like you used to, and you implement things faster. You monetize the free time however you want. The price is not directly correlated to the time you spend on the feature but to the value, it brings to your customer. And that’s only a fraction of my thoughts after reading Hourly Billing Is Nuts. For years I’ve been comfortable with my hourly billing model, and I never challenged it consciously. Now I started to consider pros and cons of both approaches actively and wonder which one I should use with which customers. And which let me easily charge more when I get better. P.S. Hourly Billing is Nuts is available as part of our Smart Income for Developers bundle in all packages. This entry was posted in technology on December 17, 2018 by surgicalcity. This entry was posted in technology on December 16, 2018 by surgicalcity. We got workshop materials 🙂 Right now we are preparing ourselves for our second Rails DDD workshop. I’ve been reviewing what I would like to discuss as part of every module. Many of these topics we’ve already written about on our blog. I could re-use those materials as a starting point and save time. Many of our posts were starting points for our books. In other words, it’s easier to sell knowledge that you already have written down. This entry was posted in technology on December 15, 2018 by surgicalcity.